This is a short and sweet post, and the product is certainly that!!! Sweet! I don’t usually have hoisin sauce on hand, just because I don’t take the time to mix it up, but it is so good and is a super huge hit in this fam. I hesitated a little to even post it, but it’s kinda hard to find gluten free hoisin sauce since it is usually made with soy sauce. And you certainly can’t find it soy free, which is easy to do when you make it on your own and use[amazon_link id=”B003XB5LMU” target=”_blank” container=”” container_class=”” ] coconut aminos [/amazon_link]instead of soy sauce or [amazon_link id=”B0004LZJ9C” target=”_blank” container=”” container_class=”” ]tamari. 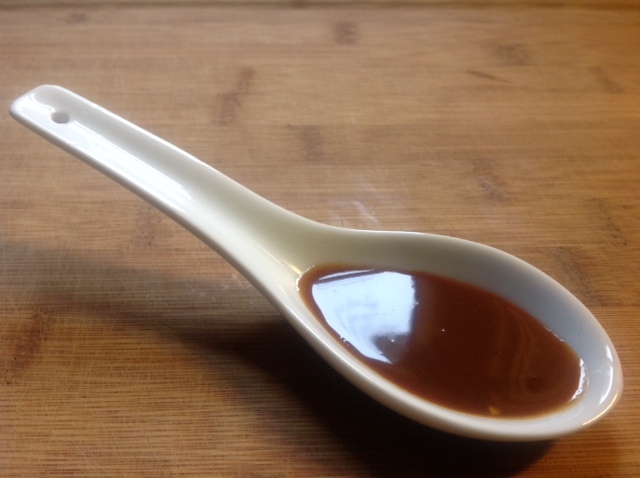 [/amazon_link](gluten free soy sauce). I did use tamari because even though Little A does have a soy allergy, we’ve found that the fermented soy doesn’t bother her! So this recipe is simple to alter to your specific allergy needs! So for those of you non-Asians out there (that is me too… but married to an Asian husband!!!) what in the world would you use hoisin sauce on? Hmmm…. well… it has a sweet soy flavor and is thick and creamy with some peanut/almond flavor as well. It’s super yummy on lots of things, but here are some of our favorites! Mix all ingredients together. I add them all to a jar and shake vigerously to mix. I’ve kept it easily in the fridge for up to 1 month, but I really think it could keep longer. Also, I usually use garlic powder, but if you use fresh garlic it probably won’t last quite as long. So give it a try and give me some feedback!!!! Hey! So good to hear from you! You will have to let me know what you think of it! I LOVE reviews on recipes!!! !